Frozen is right!! Sometimes as a Mom I am completely overwhelmed by the task at hand that I almost literally freeze and do nothing but just stare at the wall. Then there are other times I am sure that I can take on the world and may as well bust out a cape and my wonder woman cuffs. 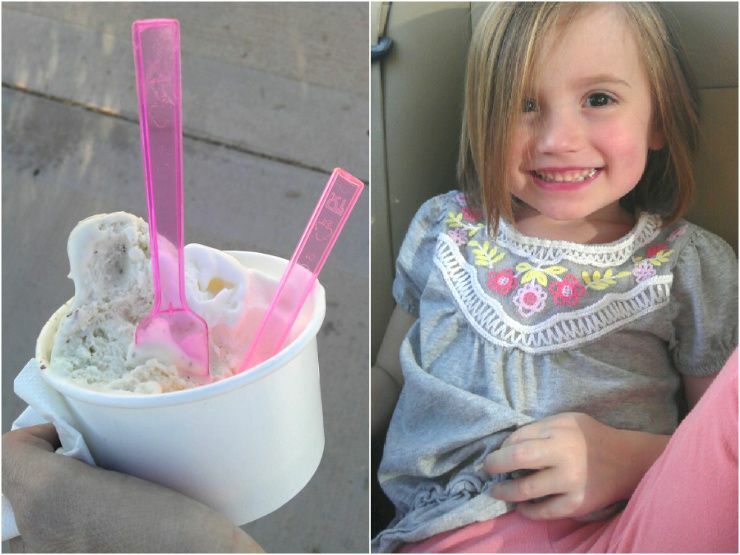 *Can we just say that a live kefir/young coconut combo at the gelatto shop just about heals everthing. I can't tell you the happiness that is in the concoction. *Cleaning the house really really good for the first time in weeks knowing that the kids were only going to come home from school and mess it up. 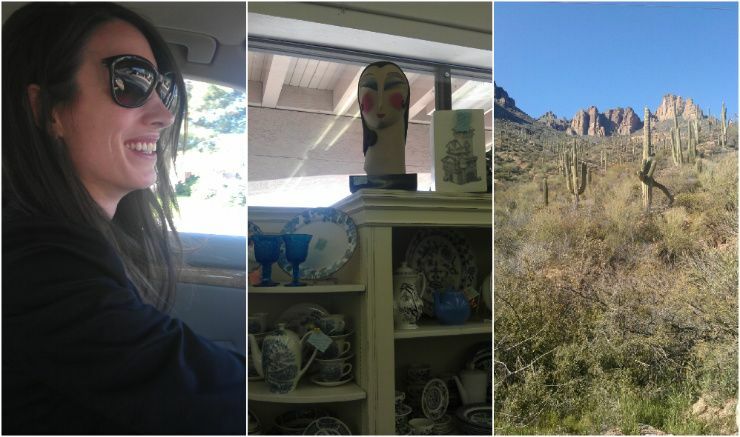 That is when I thought an outing to Fountain Hills was just what the doctor ordered. It worked! We didn't get home until bedtime..which extended the clean time and my fuse. 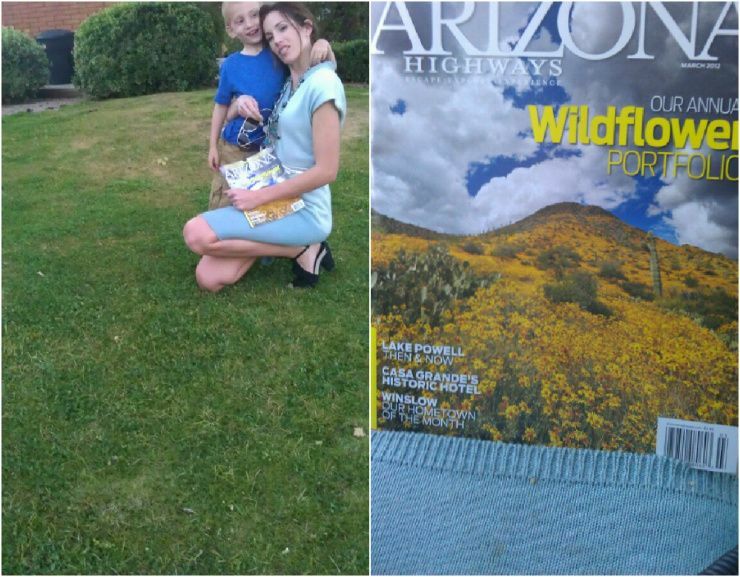 *Planning all of the wildflower outings/hikes to go on after I picked up a copy of Arizona Highways magazine...that was a great and healthy distraction if I must say. *A vintage ceramic head at the antique store that looked a little Anjelica Huston-ish. I may need her to liven up a space in my home. *Desert drives are the best this time of year. Cactus are just so sculptural and unique. We passed a new lake and let the kids get out and take their shoes off to play in the water. *My sister came over with her cute kids. When she came to the door she looked like a million dollhairs and then turned to walk away and by golly her sunglasses were hanging on by one arm. That is when she said baby Anna had broken it off. I smiled again at the things motherhood does to oneself. It's crazy because as a mom if you don't loose yourself you won't find that better part of yourself and if you loose yourself too much then you are just plain lost..oh that whole balancing act can be a tricky thing...ya know?? Hope this will be a nice week for all. Love this post, and completely understand what you mean about that balance. Some days it's a VERY fine line that I find myself on the other side of and other days breeze by. Motherhood is truly the hardest but biggest blessing!! Hope you have a great week! 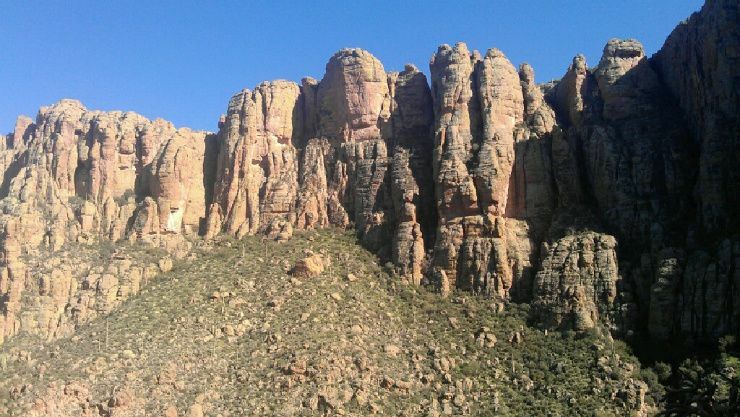 Oh my, I hope I get to experience all of this- motherhood, deserts and those moments. You are making me want to take hike so badly! Great post! Love the sunglasses. I wish I knew how to balance everything! And with only 2 kids, I feel like I'm failing miserably a lot of the time. We're all just flying by the seat of our pants, but sometimes that's when the most inspired moments happen (as you so aptly prove)! p.s. - love your sister's broken glasses. I can totally relate! What Gelatto shop did you get that combo at? I am in Gilbert and will drive pretty far to eat that! I love reading your thoughts on motherhood. Love the photos. AND, hurray for road trips. Hope you post lots of photos of those beautiful wildflowers and cacti. Hey Ape...I feel bad but I can't remember the name of the shop. 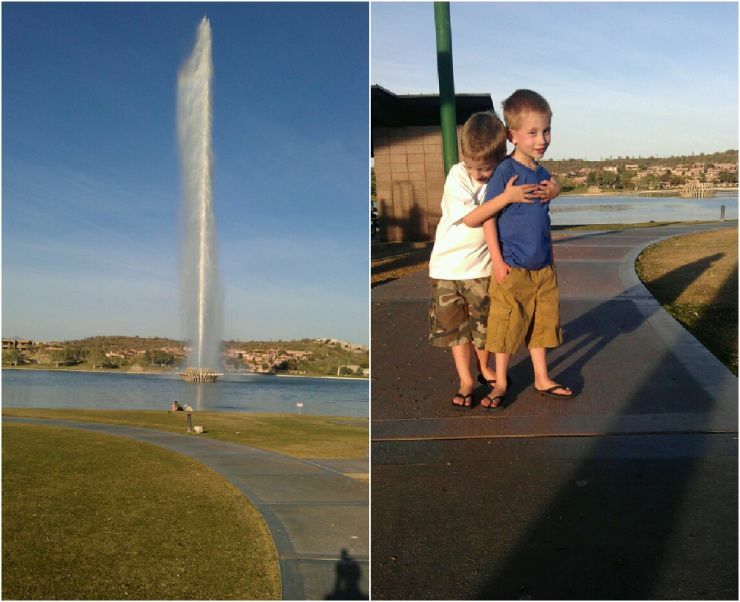 The good thing is that is is easy to find if you know how to get to the big fountain in Fountain Hills. Once you get there the gelatto shop is in the strip mall closest to the fountain. You can just walk to it. Go and try it and let me know what you think. Thank you thank you thank you! I will try it soon and let you know! I am soooo thrilled about that combination! I love this and you said it perfectly! Somedays, I feel the same way as you about being a mother..totally frozen and other days are great! I am so jealous of the weather right now in AZ. The weather in Utah is so cold and depressing right now. I would love to let my kiddos out in the sun to go play!